Danny was also featured previously. 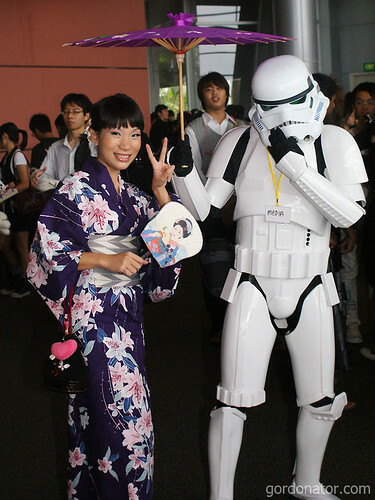 This entry was posted in Babes, Star Wars/Stormtrooper. Bookmark the permalink. hah, she’s hot but i have seen u post with hotter chicks on yr site! Previously commonly known among Stormtroopers as ‘droids’. my long lost brother! soon it will be your turn! must be the movie “When a Trooper met a Woman” right? Rin, you met her before! in japan! yeah i miss blogging. gotta get the server back up. been some time!